We have an expert team of technicians who will take care of your mobile. We look forward to 100% customer satisfaction. 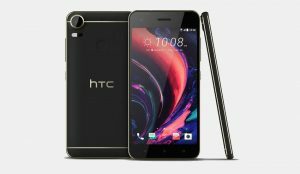 Our technicians are well experienced and up to date with the technology, thus helping you to rectify the problem with your HTC mobile in very less time.Our costs are also very much affordable when compared to others, and we use only original HTC mobile parts while replacing a damaged part in your mobile. We provide service to all the models of HTC mobile. If you are looking for the service of your HTC tablets and we are there to help you. So no more worries about your HTC play book. We have latest and modern equipment to bring back your tablets in original working condition. All this at an affordable cost. If you looking for iPhone service center in Chennai, then you have to reach us for better service with a best price tag. We offer door step pick up of your mobile and did your mobile issues in the very short period with reasonable expenses. We are in two different places in Chennai, one is in Vadapalani near the bus stop and another one is in West mambalam. We also provide warranty on the replaced parts.Time taken for our service is very quick. We take a maximum of 1 – 2 days for the service of your HTC mobile phone. We have most parts of the HTC phone in stock and our well-trained technicians will replace the damaged part of your mobile phone in no time. In any case, if any of the damaged parts have to be ordered from abroad then the service time will take a little longer and we will keep you informed about it. We normally do not charge any amount for consultation.So next time if your HTC mobile phone is giving you trouble, don’t hesitate, and visit iCare Service Center one of the reputed HTC service center in Chennai. Our team will be more than happy to help you.